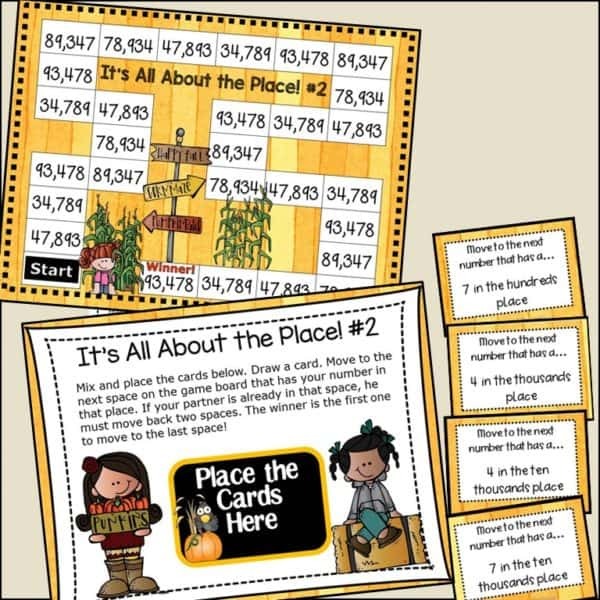 Engaging and fun place value fall activities! 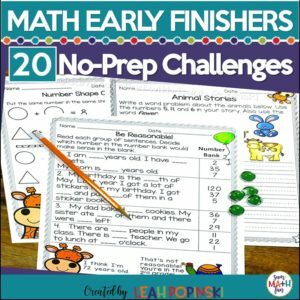 Review and practice reading and writing numbers from the hundreds to the ten thousands in standard, word, and expanded form. 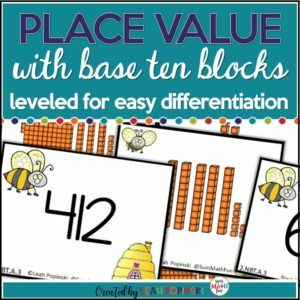 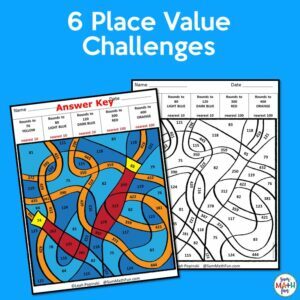 This fall place value center will keep your students challenged and working with proven place value games while you pull your guided math groups! 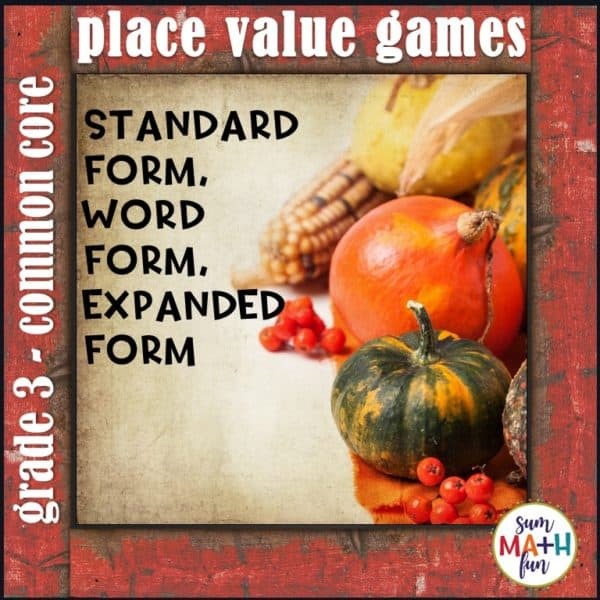 Match each number with its standard form, expanded form, and word form. Then fill in the student recording sheet. Match each number with its standard form, expanded form, and written form. 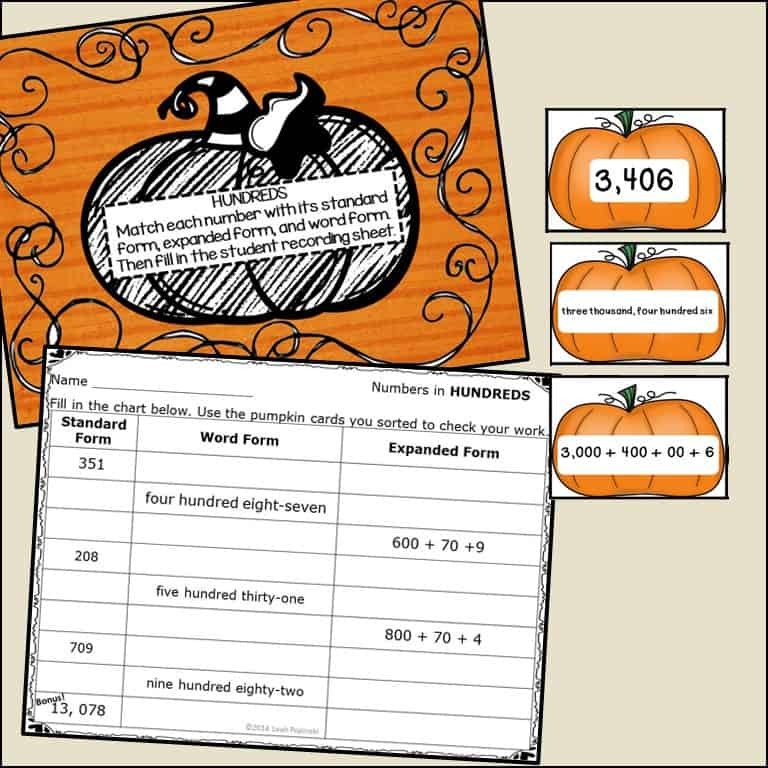 Then fill in the student recording sheet. 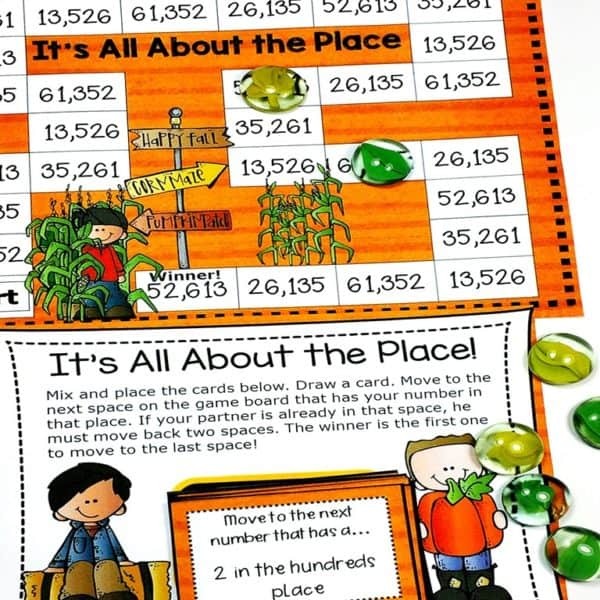 ♦ A black line version is included in the zip file as a separate 28-page download.